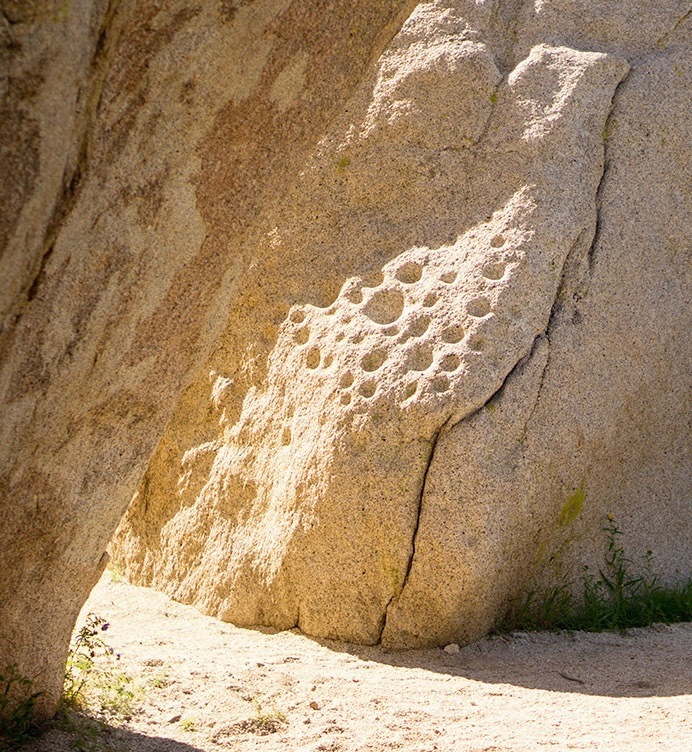 Anza Borrego Desert State Park is rich in archaeological sites and cultural resources. These are the objects and locations left on the landscape by the people who came before us. Native Americans, Spanish, Mexicans, American miners, ranchers, travelers and others have been here for a very long time. When you are out in the Anza-Borrego Desert State Park you can expect to find signs of those who came before. You may see potsherds, debris from stone-tool making, other artifacts, and places on large rocks where people prepared their foods. You may see rockshelters and rock art, remains of campfires, old roads, walls, building, foundations, and fence lines. The archaeological record is composed of things that help us learn about the past in the Anza-Borrego State Park and elsewhere. They lose their potential for teaching us when they are moved or changed in any way. They represent cultural values of the past and must be preserved. The archaeological sites and cultural materials in them provide a tangible connection to our collective archaeological cultural heritage. damaging sites is against state and federal laws and carry penalties for violations. These laws provide protection for archaeological resources as part of our collective past. Ask a Ranger or Anza-Borreglo Park Staff Member! Content and photographs courtesy of DiPinto Design.